Today we will promote an awesome and classic game that most of you probably heard of, some of you might have even played it on your Windows or MacOS computers. I am talking about Solitaire. Remember that game? To be honest though, I did play the game back in the days when there was nothing to do, back in the days of the 56k modems where your internet would automatically disconnect if someone picked up the phone on your line lol. I never and I honestly still don’t understand what Solitaire is all about, let a lone how to play it. Either way, we’ll feature it on here because someone requested the APK last week. What Is Solitaire For Chrome? 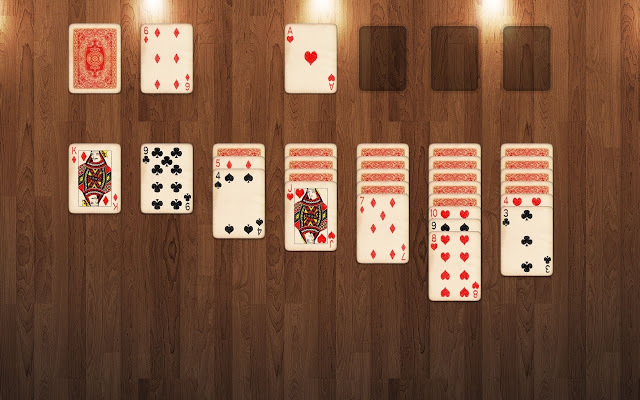 Free solitaire (Klondike, Spider, Double Klondike, Forty Thieves) with minimal graphics, no unnecessary distractions of ads and navigation buttons. Unlimited undo option (‘CTRL’ + ‘Z’ option for Computer Geeks). Retry function that allows you to start new game with same cards at start. Auto move cards by double clicking them or single RMB click.Game pause by press ‘P’ button. Different themes, backgrounds and card backs to choose from. Klondike Solitaire, Double Klondike (turn one, turn three), Spider (1 suit, 2 and 4 suits) and Forty Thieves. Auto flip cars on/off option. Can You Install Windows Apps on a Chromebook?